In a broadcast heard right here on KCHA last night, the Charles City Comet softball team was at home trying to clinch the Northeast Iowa Conference regular season title with a double-header against Decorah. In the first game, it was scoreless until the bottom of the fifth inning when Payton Reams clobbered a three-run homer to give the Comets the lead. Liz Fiser would knock home Shantel VanHauen in the sixth for an insurance run and Charles City won the game 4-0. Sammy Heyer pitched a complete game, gave up four hits, and struck out nine to earn the win. The second game was cut short due to a thunderstorm that threatened the area. The game was called in the fourth inning with Charles City leading 3-0. The game will resume on Monday at noon. The Comets clinched a share of the NEIC title with that win in game one as they improved to 15-2 in the conference and their overall record is now, 28-3. 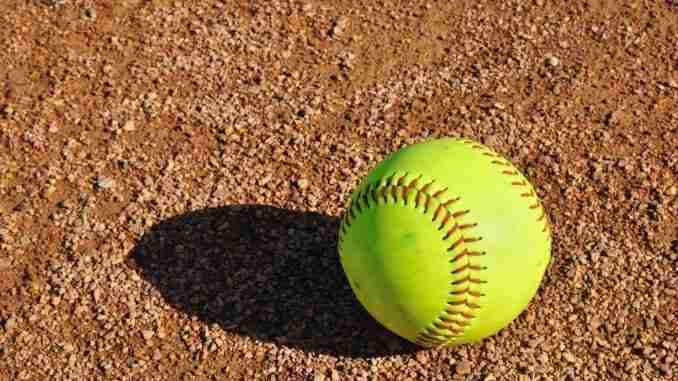 The Comet softball team will head to Iowa City today to take part in a two-day tournament hosted by West High School. The North Butler Bearcat baseball team made-up their Top of Iowa Conference game at West Fork last night. The Bearcats lost the pitcher’s duel 2-0 to fall to 6-11 overall this season and they are now 5-9 in conference games. They will be in action again tonight at home against Rockford. Rockford softball is 14-12 and 7-8. First pitch will be at 6 pm. The Saint Ansgar Saints softball team was the only other area team to get their game in last night as they welcomed Forest City to town. The Saints found themselves behind 9-0 heading into the bottom of the fifth inning before their bats woke up. Saint Ansgar scored three runs in the fourth, a run in the fifth, and two in the seventh, but it wasn’t enough as they lost the game, 10-6. The Saints softball team is now 13-23 overall on the season and they will return to action tonight at home against Mason City Newman. The Saint Ansgar Saints baseball team will also host Mason City Newman tonight in a winner-take-all match-up with the Knights. Both teams enter tonight’s game with one conference loss on the season and the winner will clinch the Top of Iowa Conference East Championship. First pitch is scheduled for 7:30. Other games on the area summer sports schedule tonight include the Charles City Comet baseball team who will be in Northeast Iowa Conference action at home against New Hampton. The Comets come in at 9-13 overall this season and they are 5-7 in the NEIC while New Hampton is 24-2 and is leading the NEIC with a 13-1 record. You can tune into this double-header tonight right here on KCHA starting with a pre-game at 4:45 with the first pitch at 5 pm. The Nashua-Plainfield Husky baseball and softball teams will be in Top of Iowa Conference action tonight at home against West Fork and both teams will be looking for their first victories of the season. The Husky baseball team is 0-15 overall and 0-14 in league play while the Nashua softball team is 0-16 and 0-13. West Fork baseball comes in at 15-3 overall and 12-3 in the conference and the War-Hawk softball team is 10-8 and 8-6. Both games will start at 6 pm. The Osage Green Devil softball and baseball teams will be at home tonight in Top of Iowa Conference games against Northwood-Kensett. The Green Devil softball team is 10-18 overall and they are 3-10 in conference games while the Viking softball team is 6-17 and 3-11. The Osage baseball team comes in tonight at 9-12 overall and 6-7 in the TIC and Northwood baseball is 4-18 and 3-12. First pitch of the softball game will be at 6 pm and the baseball game will begin at 7:30. The North Butler Bearcat baseball team will host Rockford tonight in a Top of Iowa Conference match-up. The Bearcat baseball team is 6-10 overall and 5-8 in league play while the Warriors are 11-11 and 4-10. First pitch will be at 7:30.